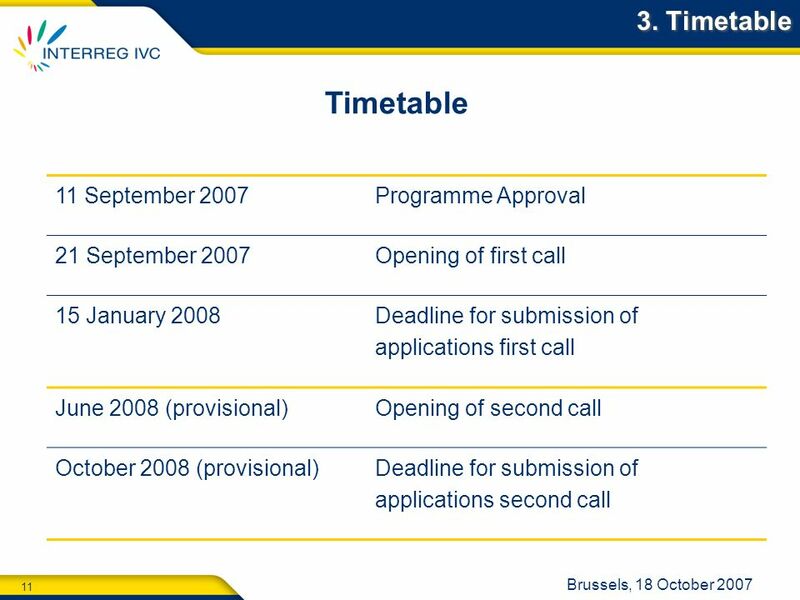 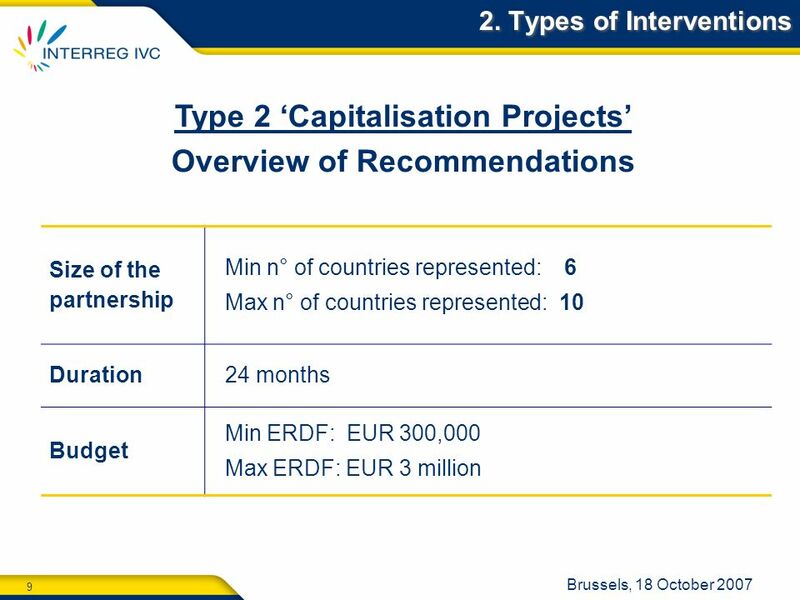 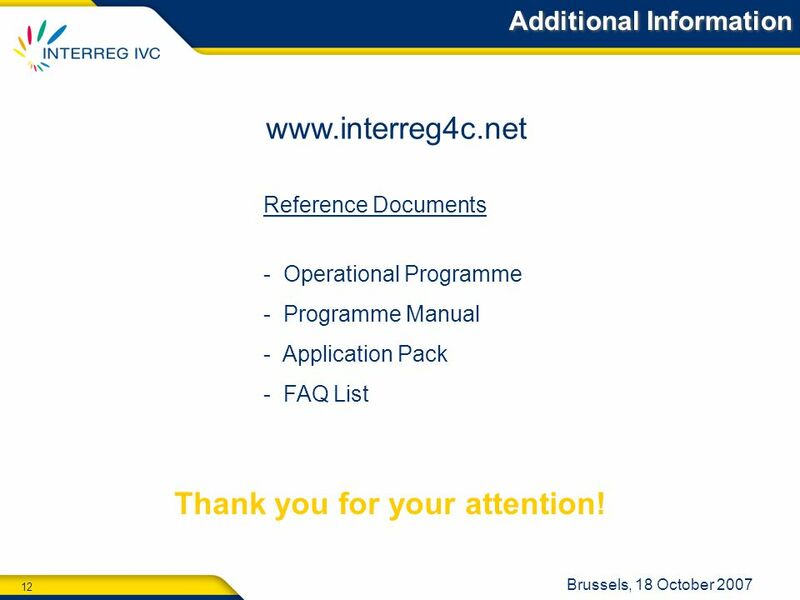 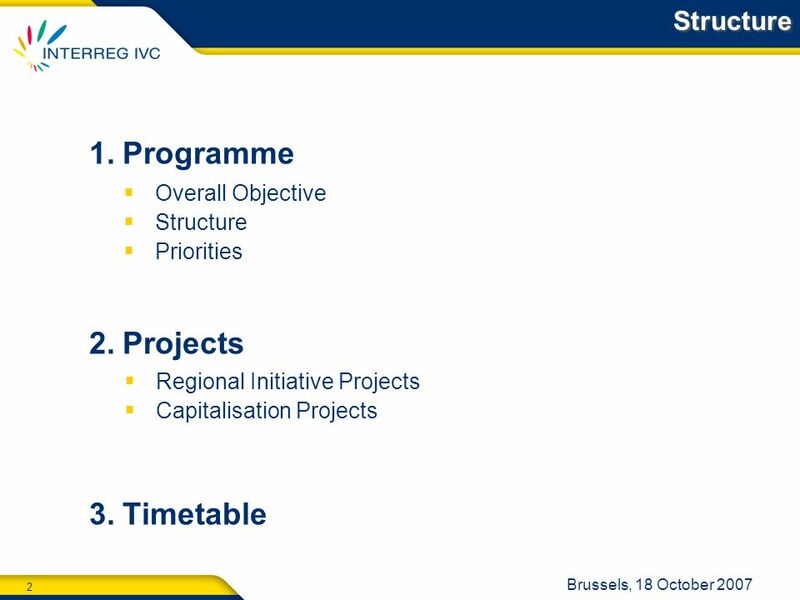 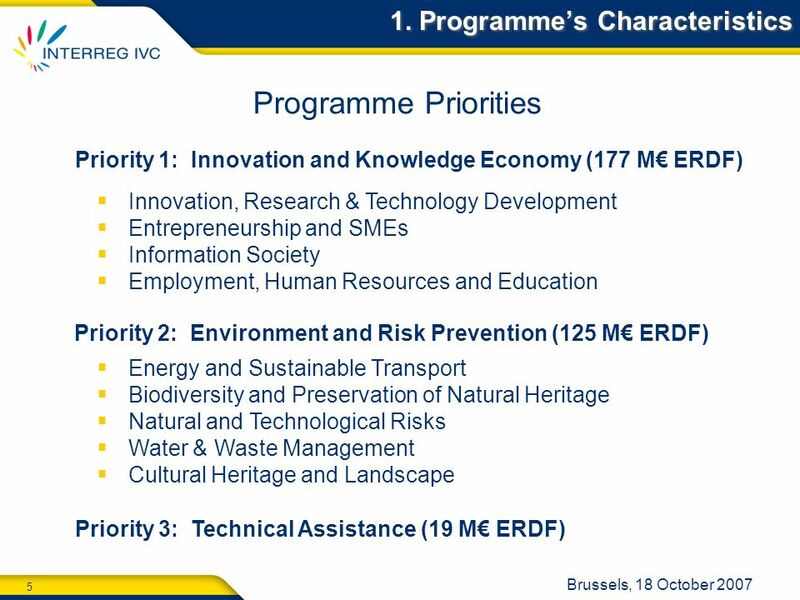 12 12 Brussels, 18 October 2007 www.interreg4c.net Reference Documents - Operational Programme - Programme Manual - Application Pack - FAQ List Additional Information Thank you for your attention! 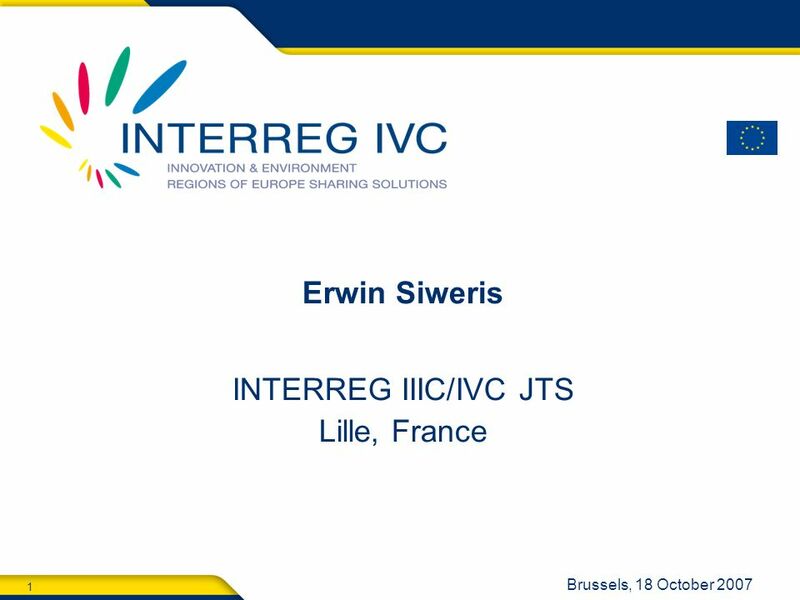 Download ppt "1 Brussels, 18 October 2007 Erwin Siweris INTERREG IIIC/IVC JTS Lille, France." 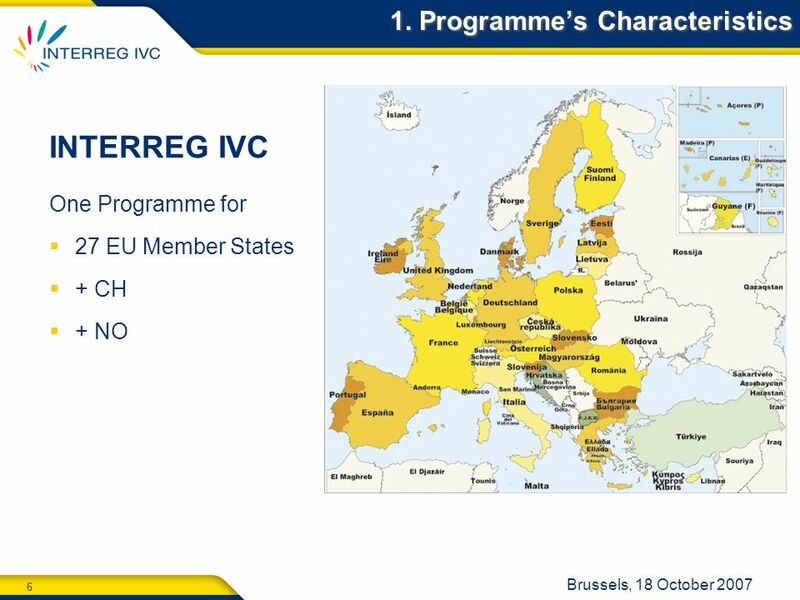 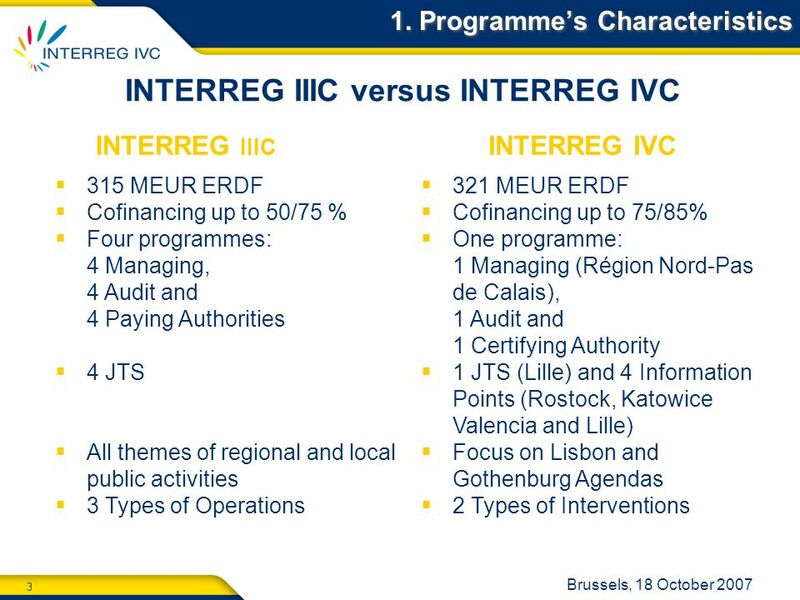 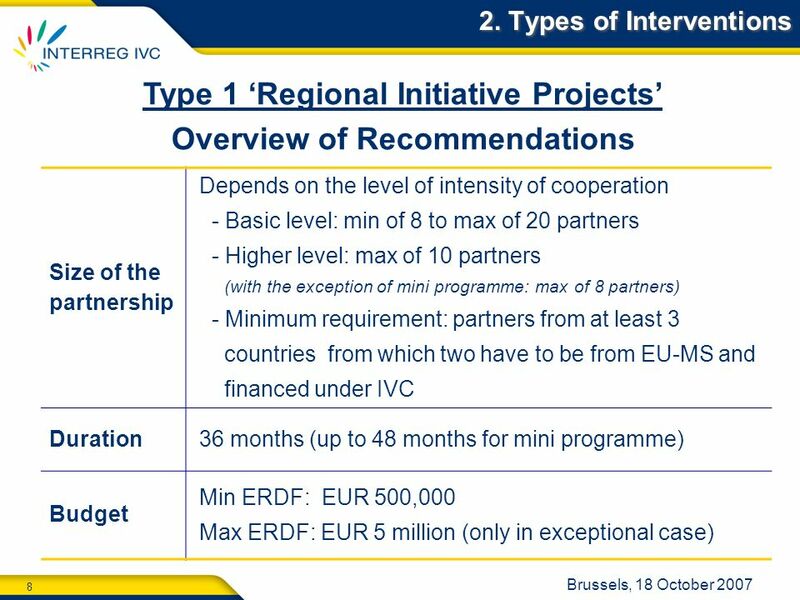 1 FROM INTERREG III TO EUROPEAN TERRITORIAL CO- OPERATION State of Play January 2007. 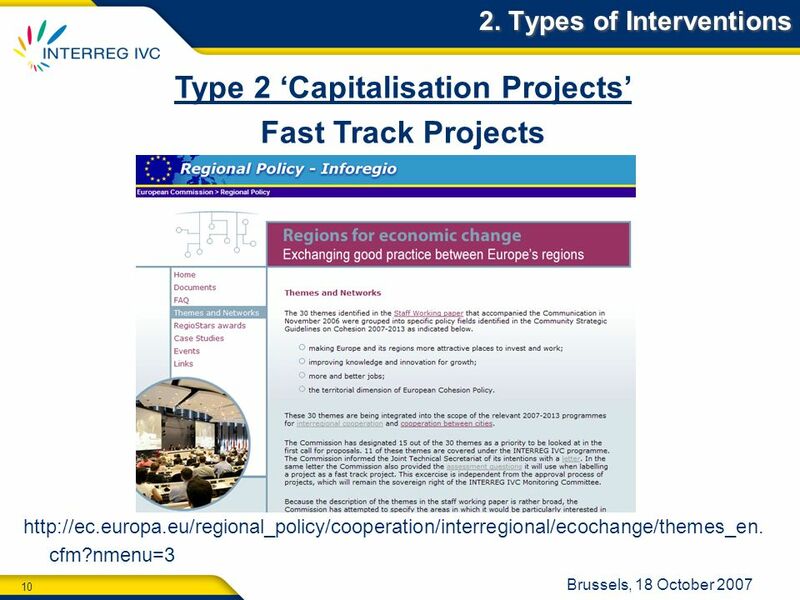 REGIONAL POLICY EUROPEAN COMMISSION Open Days October 2008 Cooperation on European urban development The first year of the URBACT II programme URBACT. 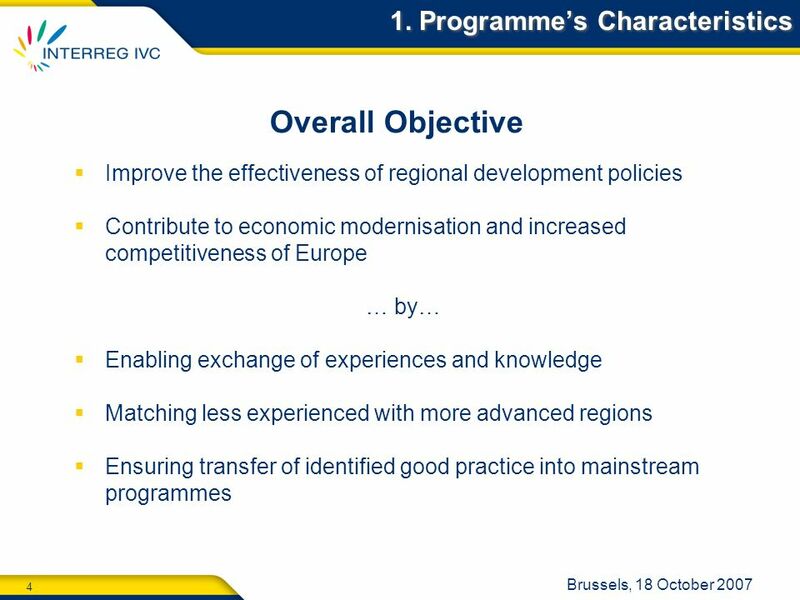 1 Territorial cooperation & Territorial cohesion - Brussels - 25 September EUROPEAN REGIONAL DEVELOPMENT FUND Contribution to the debate on the. 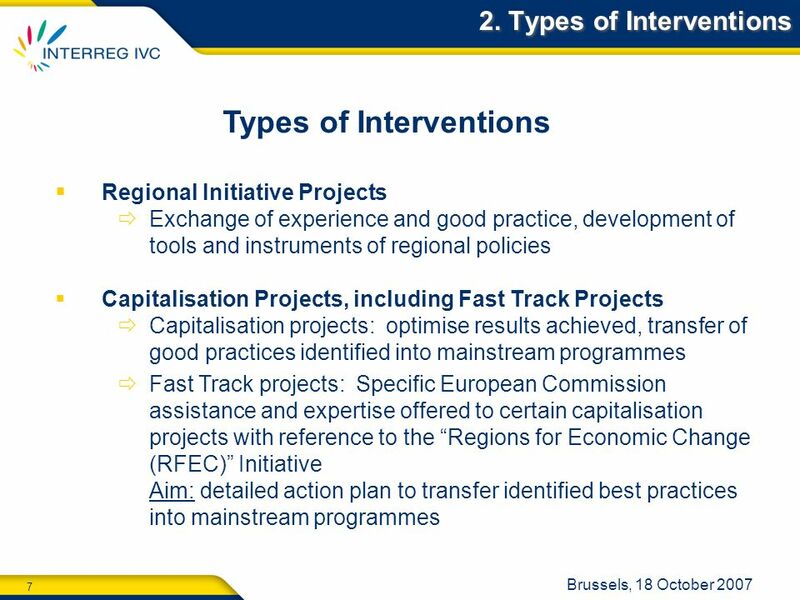 EUROPEAN REGIONAL DEVELOPMENT FUND Interregional cooperation and smart specialisation PERIA final conference 9 October 2012 Stefania Amorosi | Finance.